Inspiring homeowners to dream of the home they want & helping them achieve it! Hi, I’m Bruce. 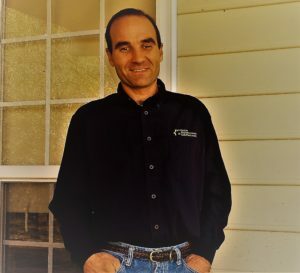 I’m a father of 6 children and I’ve been in the construction industry for 25 years! I’ve learned lots of things the hard way and I can help you avoid costly mistakes. Check back for weekly tips and tricks to keep your DIY skills growing and sharp! Read more about me here. If I was organized, I would be dangerous!